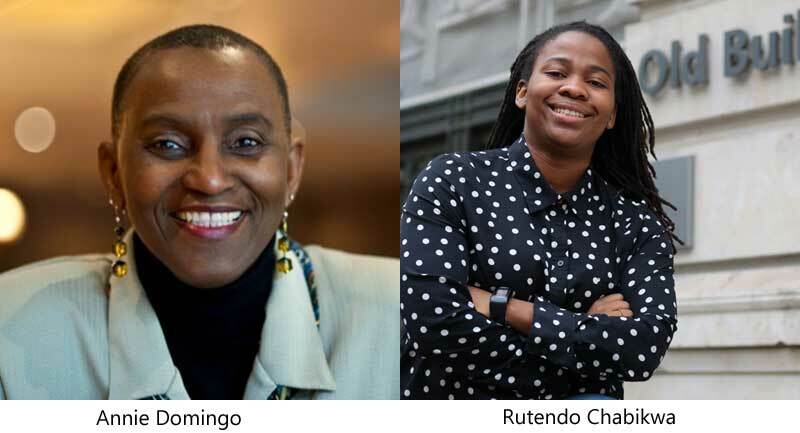 Anni Domingo and Rutendo Chabikwa are the winners of the Myriad Manuscript Prize 2018. The prize is a first drafts competition for unpublished writers. UK based Myriad publishes award-winning literary fiction, graphic novels, political nonfiction, and ground-breaking infographic atlases. The organisation supports new and emerging authors with two competitions for work-in-progress in fiction and graphic novels. Both have uncovered and launched authors who have gone on to achieve creative and commercial success like Stephen Mullan, Kirsty Logan, Al Brookes, Juliet West, and Paul McVeigh. Rutendo Chabikwa was chosen for her short story about mental anguish and depression, Todzungaira. The judges found it ‘beautifully written, captivating and very moving’, commenting that ‘the author has managed to develop a story about a sensitive and taboo topic that is not only relevant but shines a light on an important subject’. Rutendo previously won the Rising Writer Category in the Golden Baobab Prize in 2012. As part of their win, their work will feature in Myriad’s forthcoming publication New Daughters of Africa edited by Margaret Busby set to be published in March 2019. New Daughters of Africa is aimed at showcasing the work of over 200 women writers from around the world, including Chimamanda Ngozi Adiche, Zukiswa Wanner, Yewande Omotoso, Edwige Renée Dro, Harriet Anena, Ayesha Harruna Attah, Esi Edugyan, Warsan Shire, and Zadie Smith, as well as overlooked historical authors and today’s emerging writers. Previous Previous post: Mukoma Wa Ngugi’s “Black Star Nairobi” French language edition imminent. Next Next post: Golden Baobab Prize 2018 judges announced.